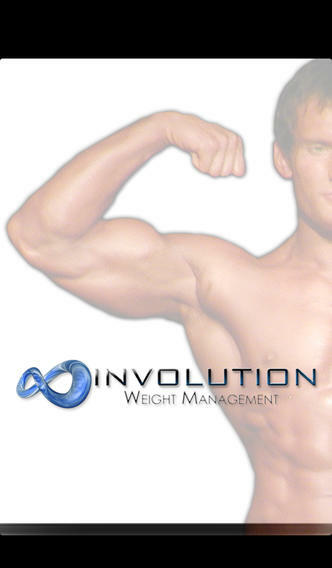 If you're looking for a quick fix in which you won't have to proactively participate in emotional / mental / physical activities and take personal responsibility for your results, then please do not try the Involution Weight Management system. Using the Involution Weight Management system will empower you to reduce weight at a safe rate that is healthy for long term success. If you aren't willing to face your emotions, your limiting beliefs, your identity, your associations to food and exercise, and you aren't willing to change your behaviors - then this program isn't for you. I cannot do the work for you - no one can - but I can create an internal environment in which you can begin making the emotional and mental changes that will facilitate weight loss and set you up for long-term weight management success. There is no magical thinking in these programs and the approach is based upon the successes I have personally integrated. I sincerely believe that weight loss begins between your ears; working on your fears, addictions, beliefs, and associations to both the positive and negative elements of food and exercise. This is where long term weight loss success is created. 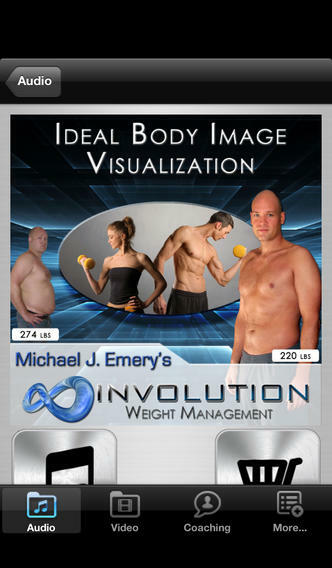 The Involution Weight Management system is comprised of 22 audio programs that are part of a protocol in addition to nutrition and exercise education available in this app. You can mix and match any of these programs in any order and they are numbered in the order in which I believe they will be the most effective when initially used. There are literally tens of hours of important free information in this app that you must be aware of if you want to lose weight and keep it off. 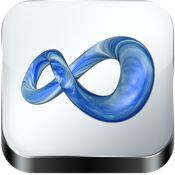 While the main theme of this app is long-term weight management, we also approach healthy living, exercise and nutrition from a holistic perspective. Even if you are in great shape and believe yourself to be healthy, we feel that you will find the information contained in this app to be invaluable! 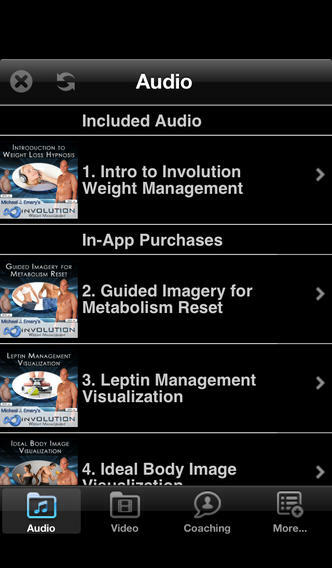 The following programs are available as in-app purchases in the Involution Weight Management system.